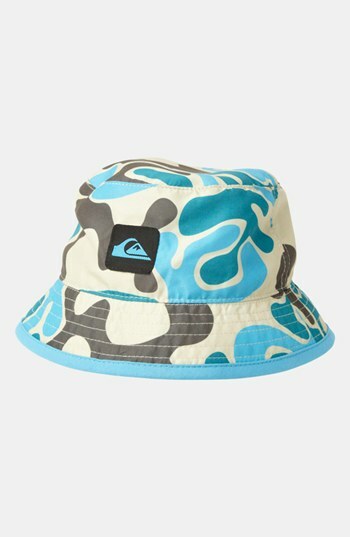 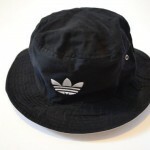 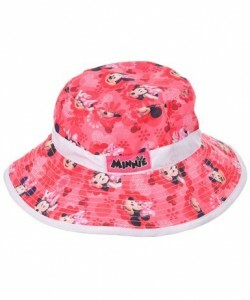 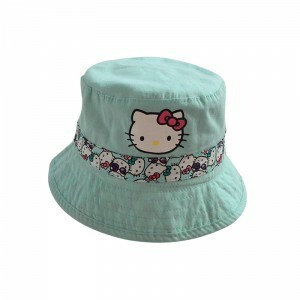 Give your little fashionista a touch of glamor with beautifully designed toddler bucket hats. 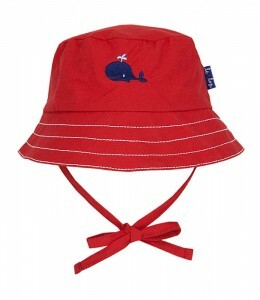 Choose from abundant colors and themes to suit your baby’s mood. 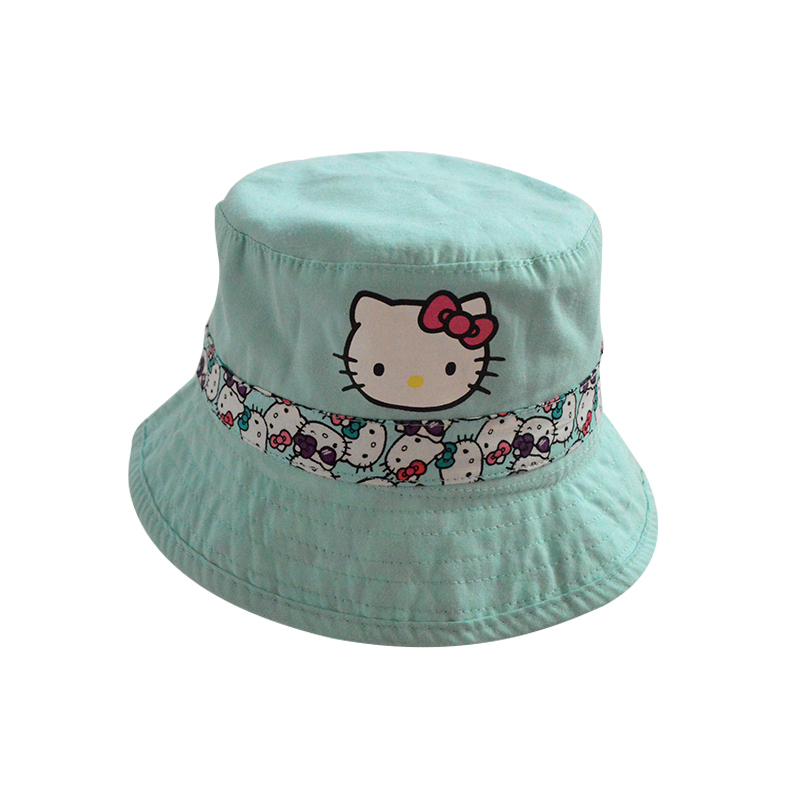 “Hello Kitty” hat is for your little princess for a day out whereas pink floral designs on toddler bucket hats are ideal for a beach outing. 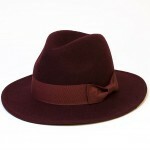 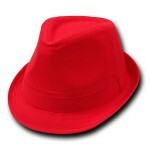 Your bundle of joy would love to wear this red hat with a blue whale picture embossed on it. 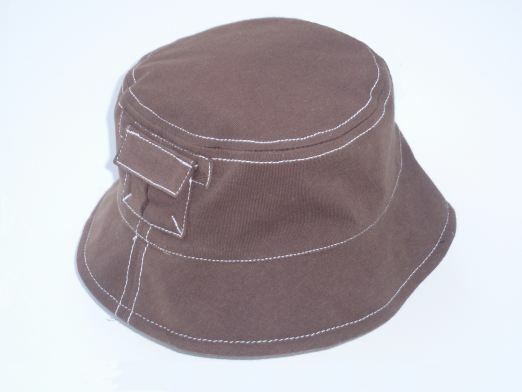 Attached chin strap will keep it from falling so your baby can freely run on the beach. 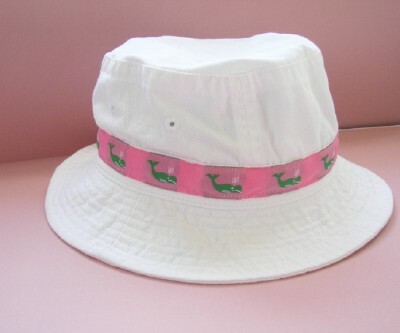 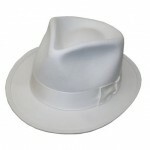 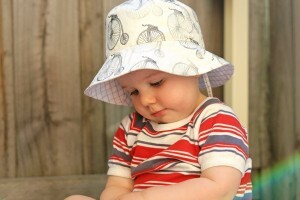 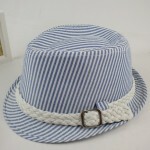 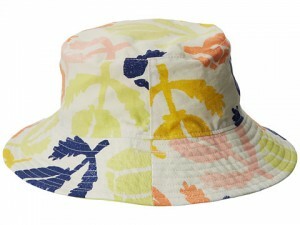 White bucket hat with an exotic motif of a vintage cycle is apt for your baby in a sultry beach holiday. 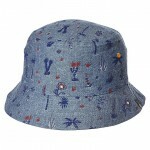 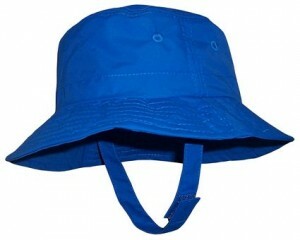 Dress up your baby in this blue bucket hat and denim dungaree while going for fishing or holidaying in the beach. 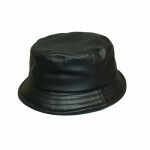 Comfortable and easy to wear, this is ideally designed for your little fellow. Published on June 8th 2016 by admin under Bucket Hats. Article was last reviewed on 11th November 2016.